The best gardens provide interest all twelve months of the year. In the spring and summer, gardens are full of color with bright, cheerful bulbs, pastel spring-flowering trees, vivid, multi-colored bedding plants and striking perennials; fall gives us shades of yellow, gold, orange, red and purple with the changing of the season, as well as abundant fruits and berries. Winter has its attractions as well with evergreens, hardy plants and persistent berries. 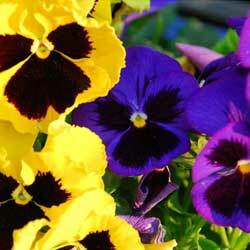 With a little planning, container gardens can give us color and variety every month of the year. While most gardeners have no trouble creating lush container gardens for spring, summer and fall, winter is more of a challenge, especially if you hope to enjoy the same plants in every season. 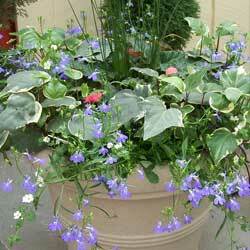 Fortunately, many plants are suitable for winter container gardening. The best choices include evergreens, shrubs with berries, those with contorted branches or interesting bark and buds or later winter-flowering shrubs. These plants remain in the containers for year-round interest, while bulbs, annuals and perennials can be switched out for colorful seasonal interest. Consider how all the plants will change seasonally so you can create a living tableau that will retain gorgeous shape, form, color and texture throughout the year. 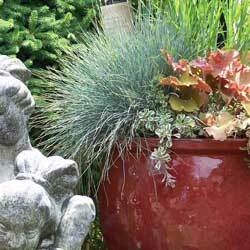 When planting containers for all-season interest, frost-proof pots should be your choice. This includes fiberglass, polyethylene and structural foam planters. These pots resist winter damage, insulate to help regulate the soil temperature and retain moisture better than porous pots. They are also lightweight, so they can be more easily moved to a sheltered location in poor weather, or shifted to a sunny spot on a warm day. Plant containers as you normally would, following good horticulture practices – enriching the soil, providing proper drainage and arranging plants for the best visual appeal. Be certain to give your pots shelter from the prevailing winds and water your plants when needed to keep roots from drying out. To water, check the soil moisture when temperatures rise above 40 degrees and add cold water as necessary. You may want to shift the containers’ location each season for the best light and weather protection. In winter, it may also be useful to add an insulating blanket around the pot or to provide more wind protection by stacking hay bales around the container. While some plants are stunning for a season, the following plants are proven winners in winter and will bring great interest to your containers. 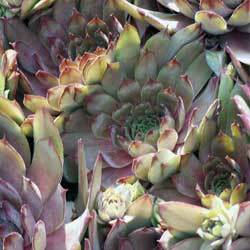 *Plant these bulbs in fall for winter flowering. No matter what you choose to plant, it’s easier than you think to design delightful containers that will catch everyone’s eye all winter long.